It’s been announced today that captain Richard Naylor and goalkeeper Shane Higgs will leave Leeds United when their contracts expire in June. 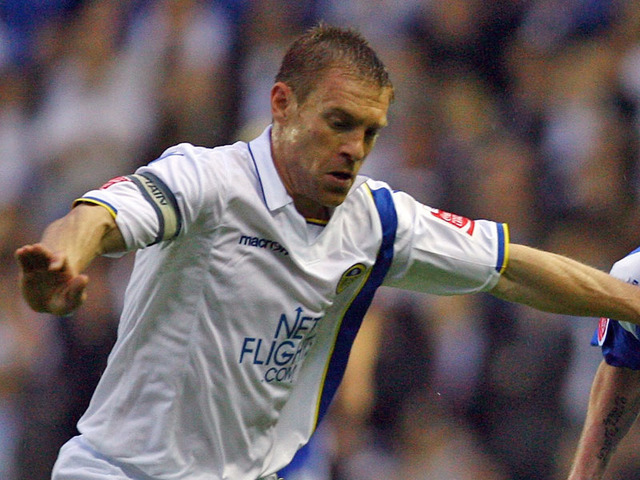 Shane Higgs had the unenviable role of being an understudy for most of his Leeds career, notching up just 29 appearances in two years. Nevertheless he always remained professional and gave his best when called upon. The 33 year old is now free to find a new club and he goes with our best wishes and thanks for his service to the club. “He’s been a great captain for the club, both on and off the field and I can’t speak highly enough of him and what he has done. Grayson goes on to say how the club isn’t in a position to offer him a new deal and it is only fair to give him the opportunity to find football elsewhere. We’re thankful for his efforts in a role we would all dream about filling and he goes with our best wishes. In other news, Ramon Nunez has had his contract extended by the club following a successful loan spell at Scunthorpe United. The 25 year old Honduran will now return to Leeds and look to make an impression in the summer. He had made just two substitute appearances for the Whites but looked impressive during his time on loan and on international duty.